Ayurveda, the messenger of best and complete health to the world, today itself is a victim of negligence and scorn, in it’s native place. It must be remembered that it is not the loss of Ayurveda and Bharta only, but is a loss of the suffering humanity throughout the world. 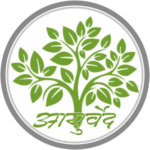 The campaign and collective efforts to re-establish the knowledge of Ayurveda is the introduction of-Vishwa Ayurved Parishad. The hazards of present system of medicine have threatened the world and the scholars of various fields of sciences and social concerns are trying to search a natural, easily available, economical, eco friendly and side effects free but effective therapy Ayurveda posses all these qualities and seems to be capable to provide hazard free procedure for good health. As Ayurveda was invented and developed in our country, it is duty of Ayurveda Scholar of the country to do needful. For its re-establishment to its past glory. Propagation of Ayurveda and acceptance of holistic life style may help to cease the various fatal ailments occurring due to modem life style. It will increase unlimited working efficiency of man power and will open the path of financial upliftment of common man. Taking all these points in condensation, VAP is active in the field. 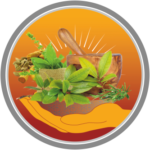 VAP is a collective platform of such co-workers, where all its members and well wishers are eager to contribute their knowledge and activity for the betterment of Ayurveda. Actually VAP is devoted for an enriched healthy nation and world. Two main tasks are before us. A. To contact all such persons and to improve their knowledge and efficiency in this field. B. To invest the collective strength of organisation for the development of Ayurveda as well as of nation. We are hopeful to get our resolution completed and ayurveda to reach the summit top position with such a vision that medical and health problems of the modern era can be solved properly. 1. To propagate, plan, procure and popularize the various aspect of nature based lifestyle i.e. Dincharya, Ritucharya, Sadavritta, Achar, Rasayana and Yoga, therapeutic use of easily available herbs, herbal cultivation, easy and standard medicine manufacturing process, scientific aspects of ancient therapies like Kshara, Jaluka etc. therapies and other useful healthy traditional practices. 2.To organize Ayurvedic teachers, students, cultivators and manufacturers and bring them at common platform to develop the sense of self respect and devotion for scientific approach about Ayurveda through scientific seminars, workshops health camps, debates and discussions. 3. To educate common man about the proper use of medicines and therapeutics obtainable from natural reserves. 4. 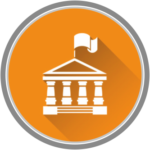 To provide and to accept co-operation from the national as well as international NGO’s and government organisations.